Sugar Candy colored lenses have dark outer ring and come in 6 exciting colors. 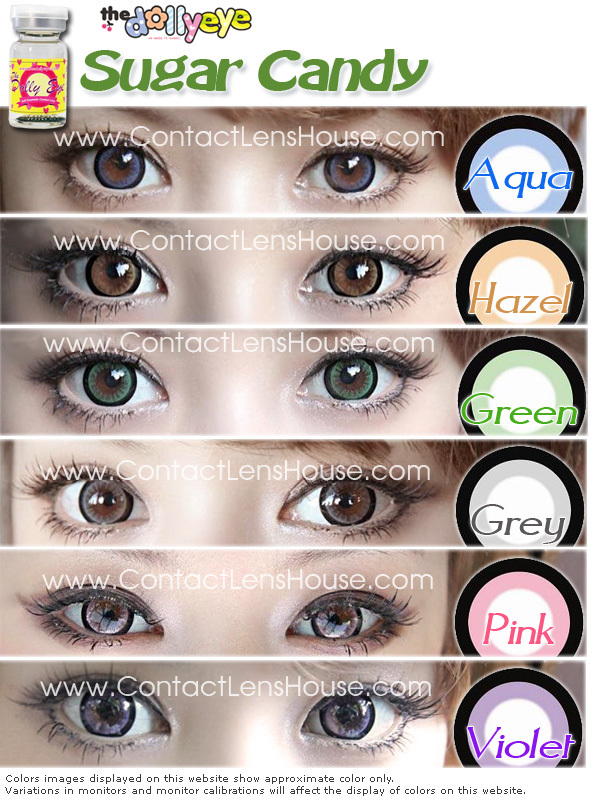 The design is made to naturally blend the contact lens colors with your original eye color. 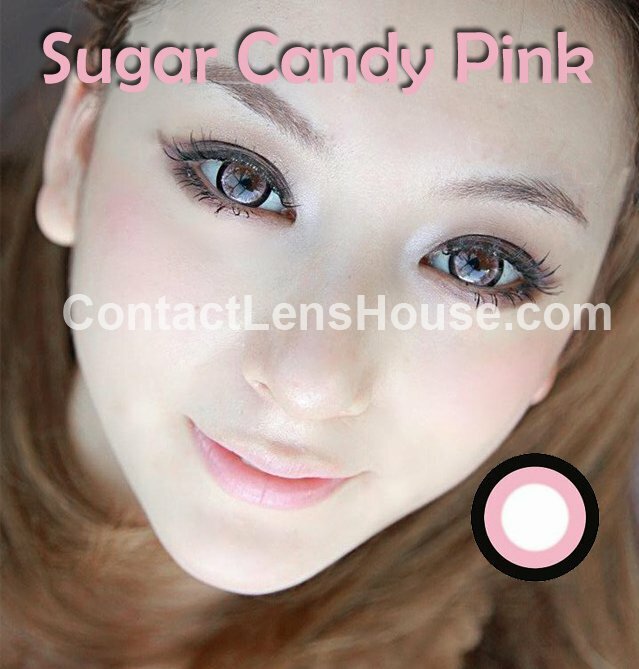 Sugarcandy lens come in diameter 14.5mm that extravagantly demonstrate the big eye effect effectively. Sugar candy lenses are comfortable to wear.